The challenge is implementing the most effective strategies to ensure these critical components are maximized. Among other best practices, this is accomplished through consistency, establishing a unified message and analyzing page performance for success. After identifying strategic target keywords to focus on, the HubSpot SEO tool monitors and evaluates as you go, making recommendations in real time, developing pages and posts and offering a checklist before publication to ensure optimal optimization. 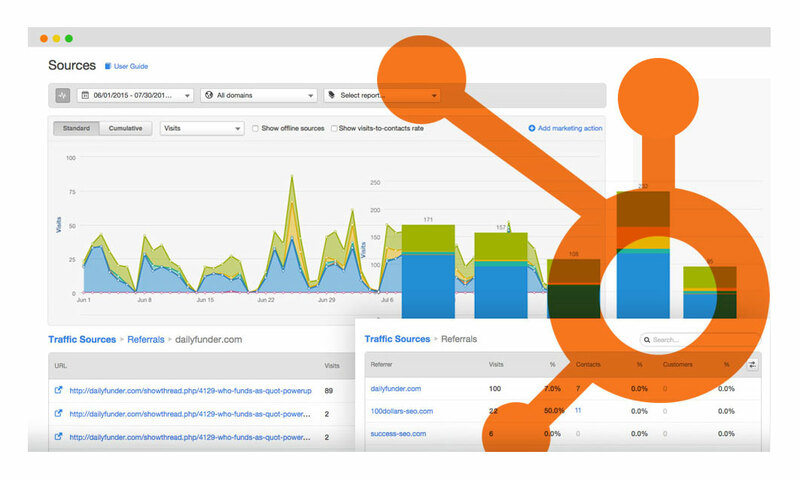 HubSpot enables you to track your search rankings, address under-performing pages, and optimize your entire site using built-in analytics and reporting. Quality search rankings begin with quality keywords. HubSpot identifies how you are ranking for individual keywords, and compares which phrases might be best to target. By evaluating how often a certain phrase is searched, how difficult it might be to rank for these terms, and identifying more achievable target phrases, HubSpot can focus your SEO efforts more effectively. This invaluable HubSpot tool runs through a checklist of best practices to ensure blogs are composed for optimal performance. Identify one or more keyword phrases you would like your posts to rank for, and the system checks that those keywords are considered within each element of the post. Does your title tag, URL and headline all speak to the same goal? Are your alt tags and meta descriptions properly included? Did you use your keywords appropriately? 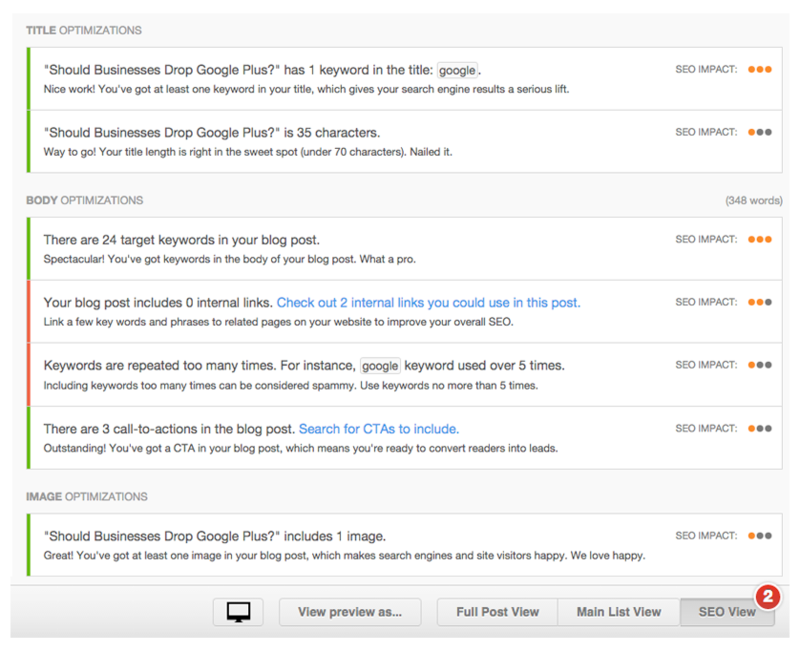 HubSpot SEO View will ensure you receive the best results, every time. 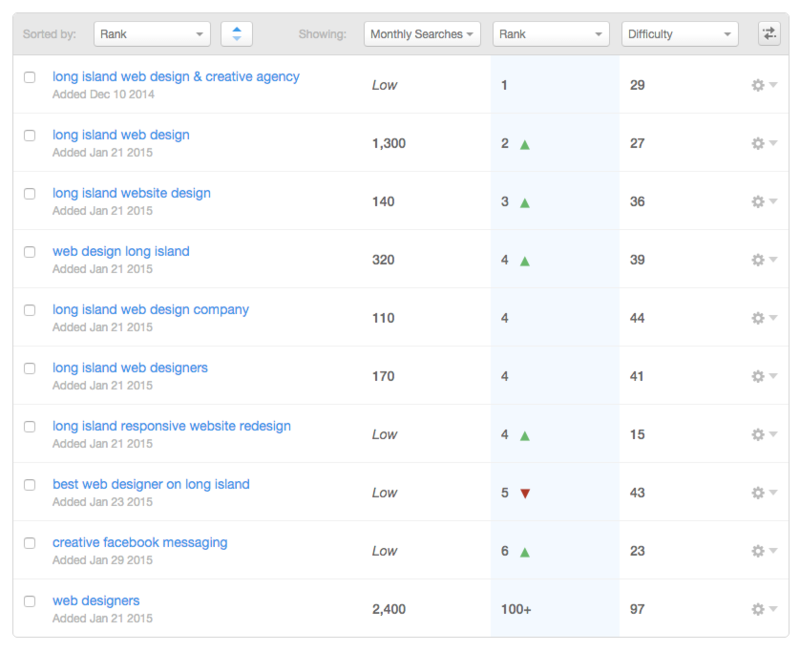 Among HubSpot’s many reporting tools, Page Performance may be the most powerful. 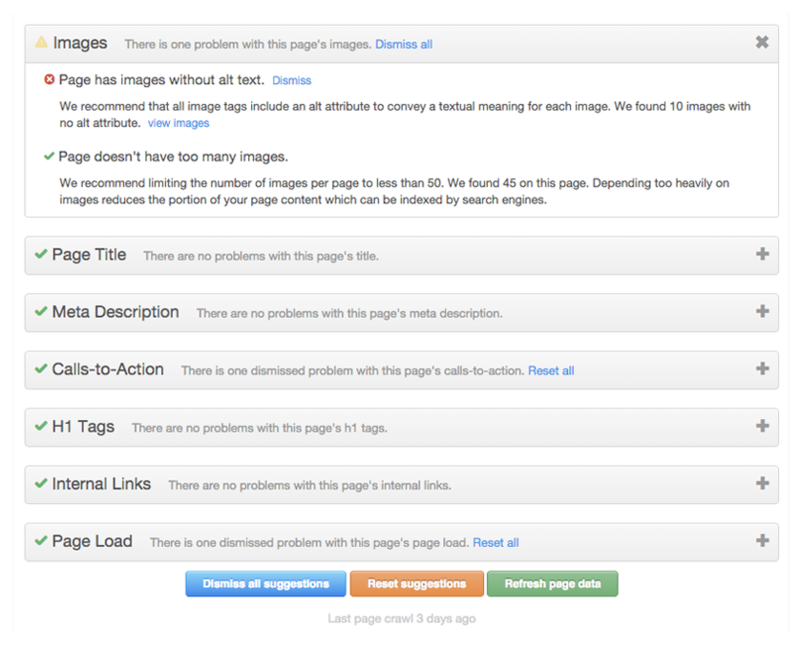 Audit every page of your website to see how you are ranking. See what can be improved. Learn how you compare with the competition. 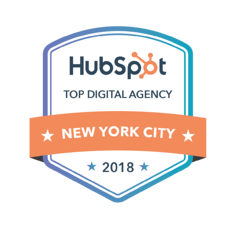 As algorithms change, so does the criteria HubSpot utilizes to ensure your site ranks at the top of search engine results. Always monitoring. Always improving. Always evolving. 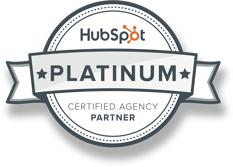 HubSpot works for you. If you want your website to be found for “widgets,” understand that this specific term does not need to be jammed anywhere you can tuck a keyword, on every page. Google wants to know the best page to present a user when they search for “widgets.” In order to maximize your rankings, it is more effective to identify the one page a user would actually want to find, and focus on optimizing that particular page for the term. This way, Google knows clearly what to deliver, and it will.